Pray for all the resources and creativity needed to fulfill the intentions of God in the state of Washington. 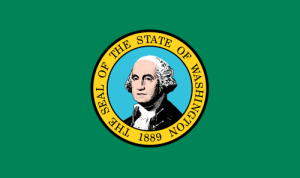 State Information: In 1853, the Washington Territory was formed from part of the Oregon Territory. Named in honor of George Washington, Washington was the 42nd state to join the Union, in 1889. Its coastal location and Puget Sound harbors give it a leading role in trade with Alaska, Canada, and the Pacific Rim. The state has two major mountain ranges–the 7,000-foot Olympic Mountains surrounded by temperate rain forest on the peninsula west of Puget Sound, and the more majestic Cascade Range, which boasts the 14,410-foot Mount Rainier and the volcanic Mount St. Helens, which erupted twice in the 1980s. Although the capital is Olympia, most people live in the metropolitan areas of Seattle-Everett and Tacoma. The state tree of the “Evergreen State” is the western hemlock, and the flower is the western rhododendron.